Melvil is a 6-year-old little boy who suffers from SMA Type 3 which is a lifelong, physically disabling condition that means he has drastically reduced mobility in his legs. He can't run or jump and falls from time to time. 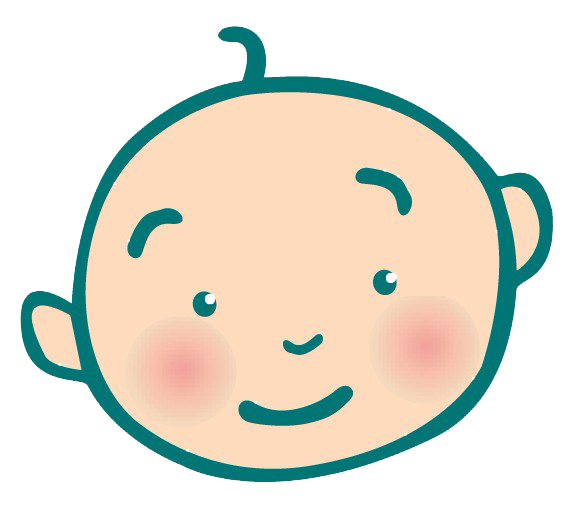 As Melvil can't walk long distances he had a trike that he loved but was growing out of. These trikes are not something you can just go to any shop to buy, they are a specialist item as Melvil's legs don't have enough strength to power a normal trike. These specialist trikes cost over £1,600 to make so Melvil's Mom applied to us for help. 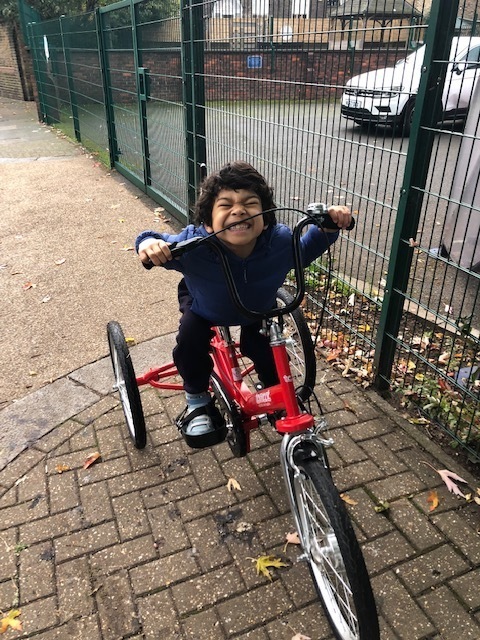 These Trikes enable Melvil to maintain a range of movement and increase muscle strength and tone, but more importantly give him some independence and help him "go fast" as he says because he doesn't have the ability to run. 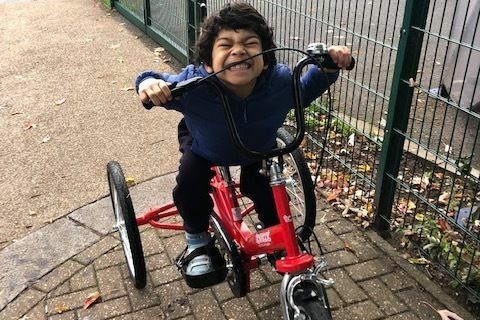 There are only a handful of activities that Melvil can do and his Mom says that "to see my child enjoy his daily commute to school by trike as apposed to car ride helps tremendously with the family well-being." This also helps him keep up with his peers and enjoy a sense of freedom. Melvil is an incredibly bright and motivated young boy that has recently started to play chess and loves acting, reading and his family say that they "hope he might be able to dance one day." With your help and support we can help get other children like Melvil the chance to "go fast."